Yusen Logistics (Taiwan) Ltd. has acquired Uryi Logistics Solutions Co. Ltd. (Uryi LS), a Taiwanese logistics company which provides automotive spare parts logistics. 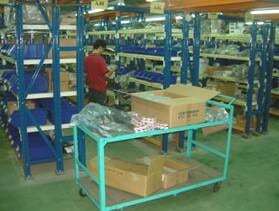 Headquartered in Taoyuan, Taipei City, Uyri LS operates an 18,500 sq m service parts warehouse. Its clients are mainly European and American vehicle and parts manufacturers. Yusen Logistics’ existing operations in Taiwan include air and ocean forwarding in addition to contract logistics. In northern Taiwan, from five locations, it operates 54,000 sq m of warehousing. It also handles automotive components, as well as electronics products and retail/e-commerce products such as cosmetics.